Where Can I Find Curved Stair Nosings? Anyone who’s searched for curved stair nosings to fit a radius staircase knows that they can be hard to come by. Few manufacturers create curved nosing, and even fewer profiles can be curved on site. But, as Gradus’ only North American distributor, we’ve got a wide range of options to fit a variety of installations. Here’s what you need to know before placing your order. 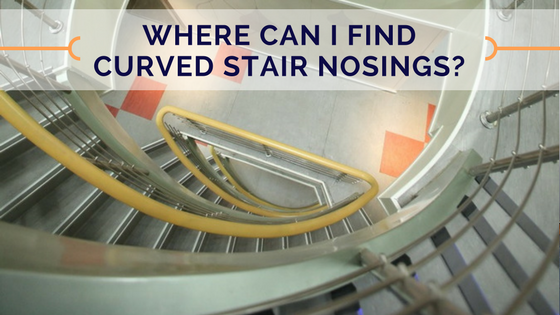 Which Gradus Stair Nosing Profiles Can Be Curved? First, consult with one of our product specialists to ensure that the profile you’d like can be curved. Once that’s confirmed, simply send us a template of the step so we’re able to create a custom piece that will fit your step perfectly. How to Prepare a Paper Step Template? Start with butcher paper or art paper: We recommend creating a step template by using butcher paper or art paper. Trace the edge of the step onto the paper: Hold the paper underneath the step and trace the edge of the step onto the paper. Note whether convex or concave: Make sure to note whether the curve is concave (going in) or convex (going out). Next, our fabrication shop will use your paper template to create a hard template. That hard template will be used to form your custom stair nosing. If you have any additional questions about curved stair nosings or other custom flooring accessories, please contact our Gradus product specialist. Can Stair Nosing Be Curved to Fit a Radius Staircase?